Media coverage of the “Azerbaijani Laundromat” in the last few days has put the spotlight on the system of corruption of European politicians by Azerbaijan. If this affair had been widely covered by the European media, evidence of widespread corruption and influence peddled by Azerbaijan in the Council of Europe Parliamentary Assembly (PACE) and throughout Europe would have already had been exposed in 2012. That year, the European Stability Initiative (ESI) published a report entitled “Caviar Diplomacy – How Azerbaijan silenced the Council of Europe”. ESI was denounced by Azerbaijan at the time as an instrument of the “Armenian lobby”. Indeed, it is standard procedure in Azerbaijan to blame the Armenians. Not surprisingly, President Aliyev has blamed the recent revelations once again on the “Armenian lobby”. If the Armenians have nothing to gain from a system of corruption set up by Azerbaijan, the first victims of the “laundromat” are the people of Azerbaijan. Human rights defenders there have been repeatedly let down by those European institutions that were established to support them. The second victim of corruption is peace. Azerbaijan has recently stepped up attacks at the border with the small and disputed Armenian-populated territory of Nagorno-Karabakh (NKR). These attacks have caused numerous casualties and, should NKR’s defences fail, an all-out war could follow. Anti-Armenian rhetoric has reached fever pitch in Azerbaijan and the country’s leaders have also sought to intensify its policy of isolating the republic of Nagorno-Karabakh. The Azaerbaijan leadership intimidates and prosecutes those who travel to NKR, including public officials and diplomats. In February 2017, an international arrest warrant was issued against three European Parliament members who travelled there. The same month, a Russian blogger who also travelled to NKR was extradited from Belarus to Azerbaijan, where he was convicted and jailed until his very recent release. This campaign of intimidation is global, well-financed and also targets members of my organisation. Today, Azerbaijan is once again heading for war. But in the face of this deteriorating situation, Azerbaijani money has contributed to paralysing and silencing the European institutions, whose very legitimacy rests on their ability to promote peace on the European continent. It is widely recognised that the best way to defuse post-imperial conflicts such as that of Nagorno-Karabakh is to promote engagement and confidence-building, a policy that has been dubbed “engagement without recognition”. Where there is no simple solution, peace can only be achieved with dialogue, patience, experimentation and a degree of trust. Engagement is the EU’s approach in all such conflicts on the European periphery, from Northern Cyprus to Transnistria. But in Nagorno-Karabakh, the EU strictly adheres to Baku’s dangerous policy of blockading and isolating the local population. At Baku’s insistence, no EU official has travelled to NKR in the last 20 years and the EU has provided no assistance to its population, in spite of the hardship caused by the 1991-1994 war and a 29-year blockade. With no European presence on the ground in NKR, the EU has no first-hand information to base its policy on. Horrifying war crimes committed during a 4-day war in 2016 have gone unrecorded, and the European institutions have not uttered a word on the subject. This is certain to embolden those who have committed them in the next round of fighting. With no contact with the population or leadership of NKR, furthermore, European actors have no way of contributing to peace or confidence-building. Twenty-four years on, a mixture of Azerbaijani bribes and oil politics have conspired to keep the European institutions out of Nagorno-Karabakh. It is time for the EU to free itself from this corrupting grip, and to stand for its values in the Caucasus. Lobbyists promised Azerbaijan to organize a meeting with Trump? Former manager of Trump's campaign Corey Lewandowski may be involved in lobbying for Azerbaijan, Politico reported quoting its sources. The article published by Politico website says Lewandowski quit the firm he was co-founding and appears to be a working for a new. Lewandowski now is trying to cash on his relationship with President Trump. “In a recent conversation with Elin Suleymanov, the Azerbaijani ambassador to the U.S., Lewandowski promised that he could get the Azerbaijani president a meeting with Trump, according to a source familiar with the exchange,” the article reads. Asked about the reports, Lewandowski said he did not do foreign work, while Azerbaijani ambassador said he was not aware whether Lewandowski was working for Azerbaijan. then they must be investigated. British lawmakers, they must be investigated”, he said. carried out the investigation to reveal the matter. investigations in both international and domestic issues”, he said. Vice Speaker of the Armenian Parliament Arpine Hovhannisyan said. country across Israel, the daily Hospodarske noviny (HN) writes today. air routes of which Trud monitored over the summer. Czech arms dealer Jaroslav Strnad. states, including the Czech Republic. on the export of military materiel to Azerbaijan," Valentova told HN. natural gas reserves, the daily writes. accordance with all valid laws and international rules. More dirty laundry from fake sultan! According to a September report by the Organized Crime and Corruption Reporting Project (OCCRP), “From 2012 to 2014 … members of [Azerbaijan’s] … ruling elite were using a secret slush fund to pay off European politicians, buy luxury goods, [and] launder money.” The scandal, dubbed the Azerbaijani Laundromat, saw $2.9 billion transacted through a series of shell companies. Among the Azeri politicians implicated in the scandal is first deputy prime minister Yaqub Eyyubov, who, according to OCCRP, has been tasked “with developing the oil-dependent country’s oil and gas strategy” since 2009. In December, the World Bank’s board of directors approved two $400 million loans to Turkey and Azerbaijan, respectively, for construction of the Trans-Anatolian Pipeline (TANAP). 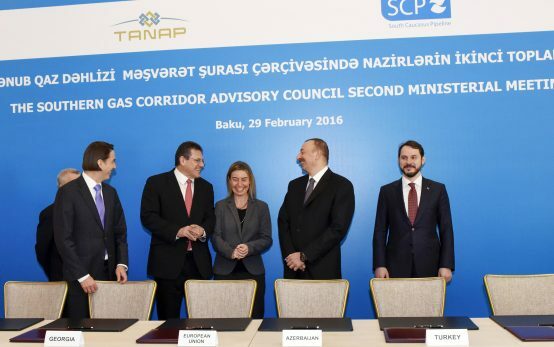 TANAP will stretch across Turkey, accounting for more than half of the proposed Southern Gas Corridor (SGC), a mega-project that will convey natural gas from the Azerbaijan’s Caspian Sea region to Italy (see Observer Summer 2016). In December, the Bank’s Multilateral Investment Guarantee Agency (MIGA, the World Bank’s political risk insurance arm) also proposeda guarantee of up to $950 million for TANAP against the risk of the non-honouring of a sovereign financial obligation. This guarantee would provide potential de-risking for ‘yet to be named’ investors, and would help cover Azerbaijan’s required contribution of $750 million towards the construction of TANAP. A September letter from four CSOs, including Counter Balance and BankWatch, to UK newspaper The Guardian published on 6 September suggested that covert payments to European politicians uncovered by the Laundromat scandal may be linked to the SGC, calling it the “elephant in the room” that has been absent from media reports. The letter stated, “Azerbaijan is particularly keen to present a positive image in Europe because it needs significant European support for its flagship project – the Southern Gas Corridor – despite the regime’s serial human rights abuses, systemic corruption and election rigging.” Decisions on proposed loans from European multilateral banks for construction of the SGC are imminent. The European Bank of Reconstruction and Development (EBRD) board is to vote on a $1 billion loan for TANAP’s construction on 18 October. The European Investment Bank (EIB) is due to consider a $2 billion loan for construction of the Trans-Adriatic Pipeline (TAP), the final leg of the SGC connecting TANAP to Italy via Greece and Albania, on 18 October, and is expected to vote on its proposed $500 million loan to TANAP by the end of the year. The President of the Parliamentary Assembly of the Council of Europe (PACE) Pedro Agramunt avoided total humiliation on October 9 - on the first day of the PACE autumn session, member of the Armenian delegation to PACE, MP Naira Zohrabyan told in an interview to Panorama.am. “The corrupt lobbyists should have no place in reputable international structures. October 9 was expected to become the last nail into the coffin of Argument’s political activity, therefor he resigned at the recommendation of his political doctors (I am sure he has no health problems except the one related to morality) to escape the final accord of humiliation. However, as the saying goes, this is the beginning of the end, as the Pandora’s box is now open. We see a clear socio-political demand emerging in European structures to investigate all the minor and big actors involved in the “Azerbaijani Laundromat” by President Ilham Aliyev and to hold them accountable,” Zohrabyan said. The Armenian lawmaker pointed to the case of the Belgian MP Alain Destexhe who resigned from PACE due to the involvement in the Azerbaijani Laundromat scandal and for being “Aliyev’s loyal client” after the relevant reports came under the spotlight of the European media. “People like Agramunt are everywhere, yet they will undoubtedly carry responsibility. The independent commission set up by the June 27 PACE resolution will be able to investigate the actions of people like Agramunt and uncover Aliyev’s dark deals,” added Zohrabyan. To remind, Agramunt has been the target of substantial criticism following his decision unauthorized trip to Syria, along with two other PACE members, and meeting with President Bashar al-Assad. On June 27, the PACE adopted a resolution, which made certain amendments in the Rules of Procedure of the Assembly. The PACE initiated the above-mentioned amendments to dismiss President Pedro Agramunt, since the latter has lost his confidence in the Assembly, failing to submit resignation voluntarily. Zohrabyan next insisted the Council of Europe should initiate the process of kicking off Azerbaijan from the Council of Europe. “Days ago, at a meeting with members of the EU Political and Security Committee President Aliyev declared that if Azerbaijan leaves the Council of Europe, noone will pay any attention to that, nothing will change in their lives and they will not become any better or worse, richer or poorer. Imagine such a statement from the head of a member state to CoE. After all this shouldn’t we initiate the issue of expulsion of Azerbaijan from the organization?” Zohrabyan concluded. investigation into this matter, and maybe it will reveal more facts. Luxembourg Frank Engel, writes The Budapest Beacon. European Parliament, but also with other influential institutions. having many friends among the politicians of the European Parliament. officer Ramil Safarov to Hungary was also the result of bribery. luxury goods, money laundering and other self-serving purposes. Immoral sub human!!!!! Politician for hire, I hope the rest learns from this humiliation. “Due to personal reasons today I decided to step down as head of the parliamentary assembly of the council of Europe,” Agramunt said in a post on Twitter, adding that he had taken the decision in consultation with his doctors. PACE lawmakers were expected to impeach Agramunt during the October session of the parliamentary assembly and in April gave him a vote of no confidence, essentially barring him from presiding over the body. The PACE officially affirmed Agramunt’s resignation. The organization’s senior vice-president, Britain’s Roger Gale, will serve as acting president for the body until a new election is held. “Following the resignation the most senior Vice President, Sir Roger Gale automatically became the acting President,” reads an announcement posted on the PACE website. In 2016, the European Stability Initiative in its report, described Agramunt as an ally of Azerbaijan. During the fall 2015 session of PACE, Agramunt emerged as a proponent of a resolution adopted by a sub-committee, which was authored by British Member of Parliament Robert Walter, whose report was pro-Azerbaijani and in the summer was granted Turkish citizenship. 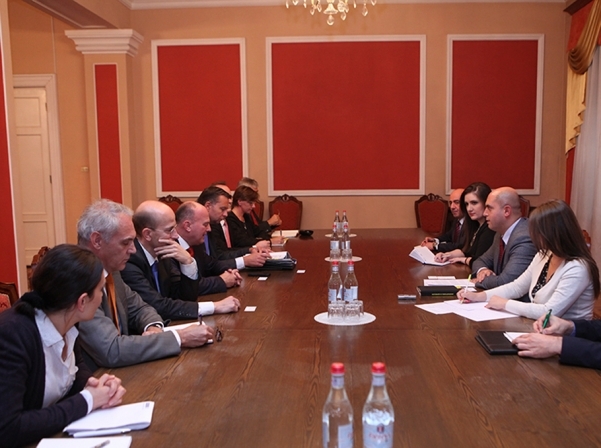 Following the passage of the resolution and another, which centered on the use of the Sarsang Reservoir in Artsakh, the OSCE Minks Group co-chairmen warned international organizations to not interfere in the Karabakh conflict resolution processes issuing a similar rebuke to PACE. Members of Armenia’s delegation commented on the Agramunt resignation, with Naira Zohrabyan telling Armenpress on Friday that the resignation announcement was made in order to avoid further humilitation. Samvel Farmanyan, another PACE member from Armenia said that Argamunt made the decision to avoid impeachment during the session scheduled for Monday. The PACE shows signs of rehabilitation,” Farmanyan said in a Facebook post. Since PACE has announced investigations into the conduct of its members, with a focus on Azerbaijan lobbyists paying PACE members for favorable votes, Baku has expressed trepidations about the European body, with its president, Ilham Aliyev, threating to exit the Council of Europe. Put your money where your mouth is! Talk is cheap, action is needed. Member of the Armenia delegation to Parliamentary Assemble to the Council of Europe (PACE), Armenian MP Mikayel Melkumyan insists on imposing sanctions against Azerbaijan following a series of stories surfaced in international media named “Azerbaijani laundromat” that described various mechanisms of using $2.9 billion slush fund to buy influence across Europe. Melkumyan’s suggestion came on the second day of the Assembly autumn session underway in Strasbourg. “We have plenty of facts, as reflected in international media among other things, with exact references to the type and size of the bribes, therefore the time has come to impose sanctions against the country and its delegation in the Assembly,” Melkumyan declared in his remarks, warning against negative consequences of inaction on behalf of the organization. “What is going in Azerbaijan, where even reporters are abducted from a neighboring country and imprisoned with fabricated charges. They spend huge sums in different international structures, bribe various officials to maintain a positive image for the country. It is unimaginable to think number of international media outlets, the likes of The Guardian to spread disinformation. As the saying goes there is no smoke without fire,” concluded Melkumyan. Keep up the pressure and keep it in the news until action is taken! 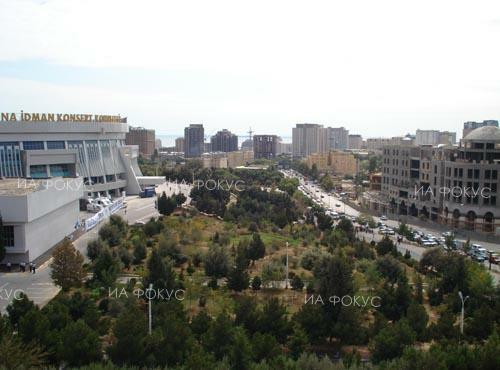 Yerevan/Mediamax/. Chair of the Standing Committee on Foreign Relations of Armenian National Assembly, Armen Ashotyan noted that Armenia-EU relations facilitate stability of the region. He made that statement at the meeting with Andreas Peschke, Director for Eastern Europe, the Caucasus and Central Asia at the Federal Foreign Office of Germany, and Bundestag members Hartmut Koschyk and Stephan Mayer on October 9. Touching on bilateral relations between Armenia and Germany, Armen Ashotyan noted the Armenian side is ready to make necessary efforts in order to develop and strengthen cooperation with the newly elected Bundestag. Chair of the Standing Committee on Foreign Relations attached importance to Germany’s balanced position in the NK issue settlement. Armen Ashotyan also mentioned the topic of Azerbaijani Laundromat and noted that a comprehensive investigation was in order to keep international and national parliaments out of corruption scandals. scandals linked with the Assembly, reports Armenpress. CANBERRA, Australia – Following meetings with the Armenian National Committee of Australia’s (ANC-AU) largest ever Advocacy Week delegation, two Members of Federal Parliament rose in the House of Representatives on Thursday to condemn Azerbaijan for failing peace in Nagorno Karabakh. Opposition MP, the Hon. David Feeney (ALP) blasted government Senator Concetta Fierravanti-Wells, who after a recent visit to Azerbaijan spoke in favor of the oil-dictatorship’s “territorial integrity” when referring to Artsakh. His speech also exposed the Azerbaijani Laundromat saga, which has revealed the “cash for favorable coverage” campaign being run by the Aliyev regime in Western countries. Government MP, John Alexander (Liberal) followed Feeney, exposing the fact that the Republic of Artsakh is ready for extra monitoring to promote peace in their region, but Azerbaijan was not. “Investigations led by the Organised Crime and Corruption Reporting Project have revealed that these illicit payments, using reputable banks and secret companies, aimed to buy political influence and launder Azerbaijan’s international image. Just this week, the ASIO annual report warned that foreign governments have been attempting to shape the opinions of the public and the media in covert influence operations. The two speeches completed a week of advocacy for the Armenian National Committee of Australia (ANC-AU), where issues including justice for the Armenian Genocide, Artsakh’s rights for self-determination and more local community issues, including refugee resettlement, were discussed with over 30 legislators and bureaucrats. On the evening of Tuesday 17th October, a special screening of the Armenian Genocide-era Hollywood epic, The Promise took place at the Australian Parliament House (click here to read report). The 11-strong ANC-AU delegation was joined by ANC America Communications Director, Elizabeth Chouldjian, who is the organization’s guest speaker at its Annual Banquet on Friday, 20th October. Watch video of Feeney statement by clicking here. Watch video of Alexander statement by clicking here. BONN, Germany (Deutsche Welle) – Germany’s CDU party has received donations from a state-run Azerbaijani company, a German media consortium reported. The affair again highlights links between conservative politicians and the Central Asian dictatorship. A district chapter of Angela Merkel’s Christian Democratic Party (CDU) received €28,000 ($33,114) from the state-run Azerbaijani oil and gas company Socar in contravention of German rules on party donations, a consortium of public broadcasters NDR, WDR and daily Süddeutsche Zeitung reported. The German CEO of Socar, Anders Egen Mamedov, was quoted by the paper as saying that the company’s contacts with political officials was taking place “against the background of the geopolitical importance of Azerbaijan and Socar,” including with regard to the pipeline network through seven countries that is currently under construction. Amid reports that Department of Justice Special Counsel Robert Mueller will be filing new indictments after probing a potential quid pro quo scheme, whereby then National Security Adviser Michael Flynn would be paid $15 million to secretly carry out Turkey's bidding, the Armenian Assembly of America (Assembly) calls for thorough public Congressional hearings to fully expose these matters. Flynn was already paid $530,000 last year for work the Justice Department says benefited the government of Turkey, and did not register as a foreign agent at the time. The Assembly has repeatedly highlighted Turkey's attempts to gain surreptitious influence over U.S. officials and media to the detriment of U.S. national security, and has urged investigations therein. 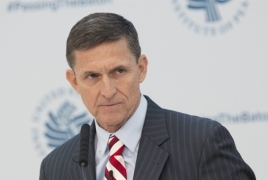 House Oversight and Government Reform Committee Member, Congressman Raja Krishnamoorthi (D-IL), in a June 2017 op-ed in The Hill titled "Did Turkey's payments to Michael Flynn delay our military operations against ISIS?" stated that "questions regarding Turkey, however, reveal most clearly how personal considerations may have overridden our national interests." In addition, the Assembly has also highlighted Azerbaijan's attempts to undermine western democratic values and institutions through the billions it has spent in the "Laundromat scheme" to buy silence. Investigations are now bearing fruit. The Assembly has also urged with some success those Representatives who joined the Turkish and Azeri Caucuses to withdraw. "The latest news regarding secret payments to Michael Flynn to carry out Turkey's bidding are just the tip of the iceberg," stated Assembly Co-Chairs Anthony Barsamian and Van Krikorian. "Illegal Turkish and Azerbaijani money has been flowing into D.C. and we have an obligation to immediately stop these corrupting practices. Beyond thorough investigations and indictments, exposure through public hearings and legislative reform to increase reporting and penalties are necessary to stop officials who can be bought by the Erdogans and Aliyevs of the world from hijacking the American government," they added. "Members ought not to associate themselves with such corrupt and authoritarian regimes. Given Turkey's treatment of Christians, dangerously rogue behavior, denial of the Armenian Genocide and support for Azerbaijan's ISIS-style beheadings and other attacks, it is well past time for Members of Congress to withdraw their membership from the Turkish and Azeri Congressional Caucuses." delegation to PACE Arpine Hovhannisyan said on Facebook. report will be discussed during the next sittings. Syrian Conflict on the region. Doctorate in 2000 by Khazar University in Baku. Money laundering may not be theft, but it is a product of theft. stability and security of states, societies, and regions. complex, probably does not cover the full scope of the money flow. million euros from the Azerbaijani laundromat. another when a domestic critic of those elections was arrested. million US dollars) between 2012 and 2014.
and corrupt former Soviet republics. immune to the shame of publicity and public criticism. standards and there are still entities that strive to conform to them. as a recipient of more than 800,000 Euros. management of resources, and against erosion of the rule of law. complicit. There is no middle ground. Press and Columbia University Press, 2017), Chapter 4.
do not necessarily reflect Emerging Europe’s editorial policy. Investigations into a slush fund used by Azerbaijan’s ruling class to pay off politicians in Europe looked similar to the Ta’ Xbiex-based Pilatus Bank case, The Times of Malta reported, adding the case was brought to a European Parliament committee heard on Tuesday. As, Eva Jung, an investigative journalist who helped expose a complex $2.9 billion money-laundering scheme known as the Azerbaijani laundromat, said the methods and procedures exposed in Malta looked similar. At least three European politicians, a journalist who wrote stories friendly to the regime and businessmen who praised the government were among the recipients of Azerbaijani laundromat money. Ms Jung said no Maltese politicians were exposed in the Azerbaijani laundromat. Citing Maltese media reports, Ms Jung told the committee money flows from a Dubai-registered company controlled by the ruling Aliyev family in Azerbaijan were filtered through Pilatus Bank to Panama companies owned by Maltese politicians. Simon Bendtsen, another investigative journalist, said payments in the Azerbaijani laundromat passed through Danske Bank in Estonia through the use of four shell companies in the UK. It is reminded that a team of journalists analysed over 16,000 leaked transactions from Danske Bank. They found money was transferred from either State-owned companies or by powerful Azeris with close ties to the country’s elite. Large amounts of money from Azerbaijan, including from the “very powerful” Ministry for Emergency Situations, flowed through Danske Bank to European politicians, the committee heard. The Times of Malta has reported that a front man for the Minister for Emergency Situations, Kamladdin Heydarov, opened a number of companies in Malta, linked to Pilatus Bank. The companies were set up by Nexia BT soon after Prime Minister Joseph Muscat, his chief of staff, Keith Schembri, and Tourism Minister Konrad Mizzi visited Azerbaijan in December 2014. Nexia BT were the same financial advisers used to open Panama companies for Mr Schembri and Dr Mizzi, sheltered by trusts in New Zealand, which were not declared to the local tax authorities. Slain journalist Daphne Caruana Galizia had reported that Mr Heydarov was Pilatus Bank’s biggest client, with millions being deposited there.